Truth or Traditions: Sabbath or SUN-day? The following has been taken from various sources, each one cited for your own examination. The vast majority of Christian churches today teach the observance of Sunday, the first day of the week, as a time for rest and worship. Yet it is generally known and freely admitted that the early Christians observed the seventh day as the Sabbath. History reveals that it was decades after the death of the apostles that a politico-religious system repudiated the Sabbath of Scripture and substituted the observance of the fist day of the week. 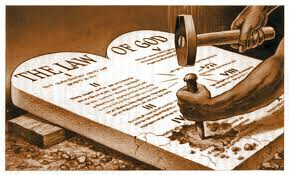 The following quotations, from Roman Catholic sources, freely acknowledge that there is no Biblical authority for the observance of Sunday, that it was in fact, the Roman Church that changed the Sabbath to the first day of the week. Also included are quotations from Protestants. Undoubtedly all of these noted clergymen, scholars, and writers kept Sunday, but they all frankly admit that there is no Biblical authority for a first-day sabbath/worship day. Saturday is the seventh day of a system devised by man. Sunday was brought about by man to be the Sabbath. There is no where in the Bible that says that either Saturday or Sunday is the Sabbath. In fact there is no specified (exact) day of the week that is said to be the Sabbath. Other than the seventh day of the week. We know through a myriad of not only Jewish historians, but also Roman and Greek historians, that the day that the Jews in the first century observed as the Sabbath was Saturday. By the Romans and Greeks it was called “Saturn’s Day”. The same seventh day of the 7 Day syetem that God, not man devised. Yes, man named the days after their gods, but God only numbered them. The sevn day system you speak against started at Creation, the Earth was made in 6 days on on the seventh God rested, and then Sanctified it, setting it apart even from the beginning. Frontinus, a Roman Soldier who lived from c. 40 CE to 103 CE, wrote book on military strategy called Strategematicon in 84 A.D. In it, he writes: “The deified Augustus Vespasian attacked the Jews on THE DAY OF SATURN, a day on which it is sinful for them to do any business.” Frontinus Stratagem 2.1.17. From that time forth it was ordered that the Jews who continued to observe their ancestral customs should pay an annual tribute of two denarii to Jupiter Capitoline. They are said to have devoted the seventh day to rest, because that day brought an end to their troubles. Later, finding idleness alluring, they gave up the seventh year as well to sloth. The day of which the poet speaks is of course the Saturday, or, as Postgate puts it, “the Jewish Sabbath, on which no work was to be undertaken,” and the implication is clear that unwillingness to set off on a journey on the Sabbath day was no unusual thing among the inhabitants of Rome, for Tibullus is enumerating the common reasons for the postponement of journeys of which he was only too ready to avail himself.” The Jewish Sabbath in the Latin Classical Writers. J. Hugh Michael Victoria College, Toronto, Canada. The American Journal of Semitic Languages and Literatures, Vol. 40, No. 2. (Jan., 1924), pp. 117-124. 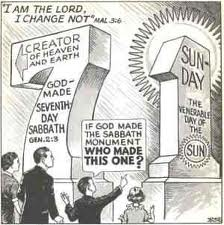 So, all that said, we do indeed know what day the Sabbath is, and it was not a system of Man to have a seven day week structure, but a commandment of God. God’s week is a seven day week. I hope this has cleared things up for you.